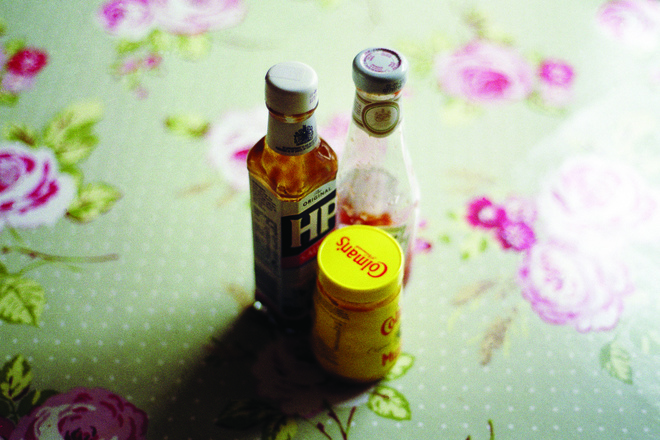 With August 31st, International Bacon Day, fast approaching, we've decided to get your taste buds tingling by selecting Daniel Porter's Condiments image as this Weeks 'Pic of the Week'. Submitted as part of 'No Britain is an Island'; as a whole the exhibition explores the stories that unfold around the least well-known, unspectacular places: the bench on a seaside pier, the old red telephone box on the way to town, the local convenience store round the corner, the hill at the end of the road. These places, full of memories for the people that pass through, immeasurably define what a place means to us; they make up the complex fabric of a country and through this, they become part of our shared experience of Britain and the many walks of life to be found here.